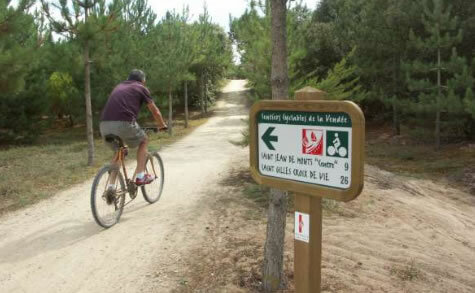 The area is ideal for cycling because it is relatively flat rural landscape, very beautiful, with fantastic cycle paths and small roads and dirt tracks ideal for cycling. You can cycle to great beaches, quaint villages, cross country through beautiful countryside, cycle to the shops, the beach and to local cafés and restaurants. 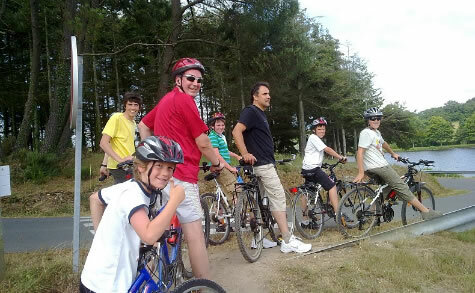 This is a great cycle ride for all the family with many stop-offs along the way. 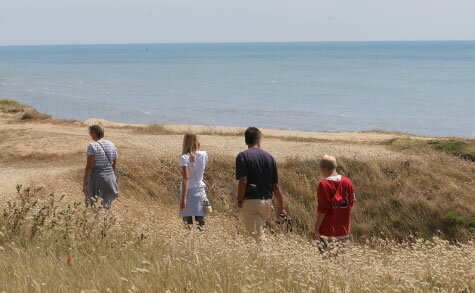 There are fantastic walks around the local area in the countryside and along the coast. 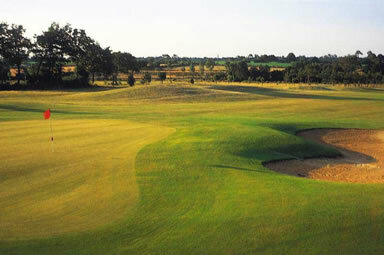 The local area all around Dolphin Gites is known as the bocage and is a relatively wild natural beauty. Routes are all sign posted and numbered along country lanes and delightful rural tracks. 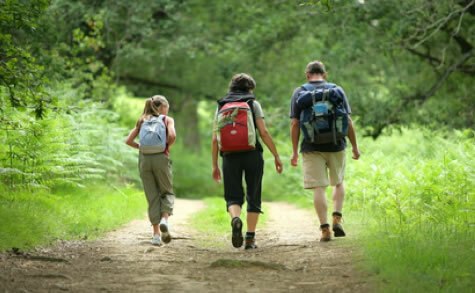 There is an information leaflet with all the local walks marked on a map with numbers which appear on wooden sign posts. This leaflet can be obtained from the owners or from any local tourist information. There are so many good walks in the local area. 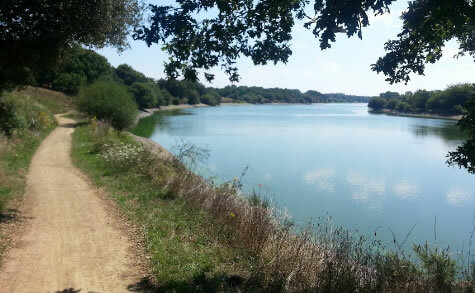 You can walk around the Jaunay lake which is about 10 miles along small roads, dirt tracks and a path along the banks of the lake. It is a beautiful walk which is quite challenging in places. Leave your car at the Pré restaurant and walk the lake. 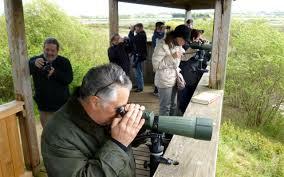 The gardens and local countryside around Dolphin Gites are ideal for bird watching. 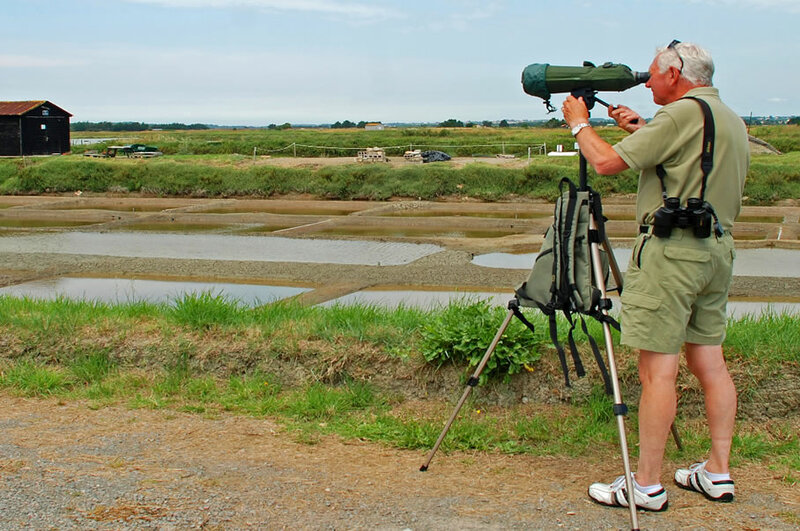 You can walk to the Jaunay river just behind Dolphin Gites and you are in a superb natural setting ideal for spotting King Fishers and other quite rare species. 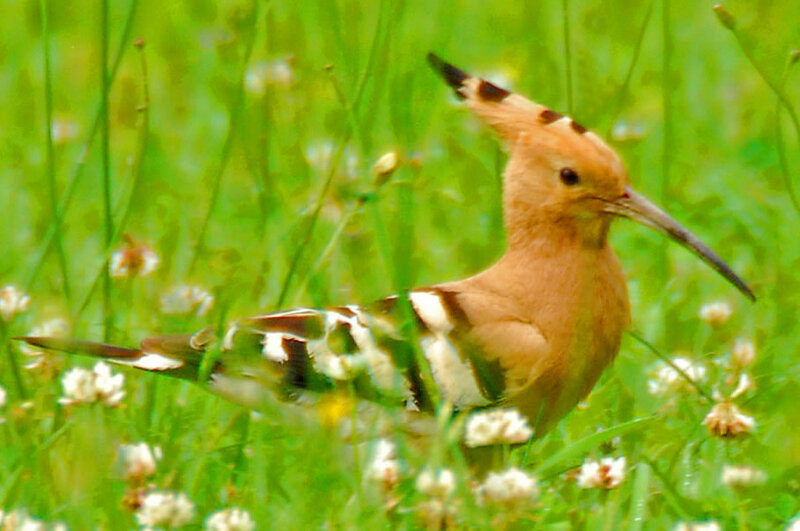 You can often spot Buzzards, Falcons, Kites and Kestrels while sitting in the garden. 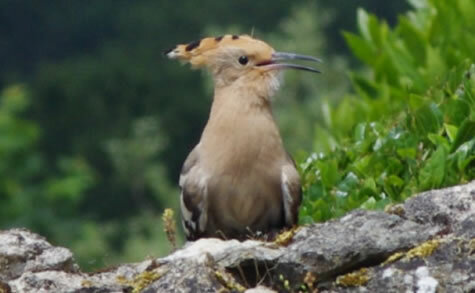 In the garden you can often spot Hoopoes and Woodpeckers. 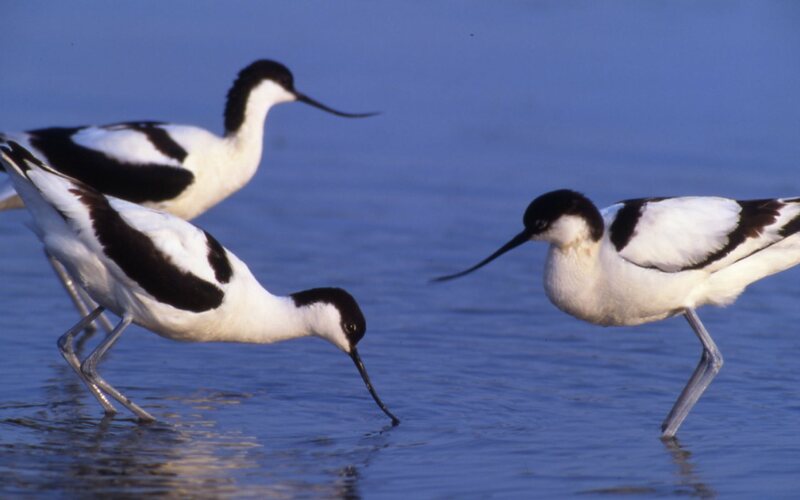 There are a fantastic range of species which can be observed regularly while walking along the banks of the Jaunay lake. 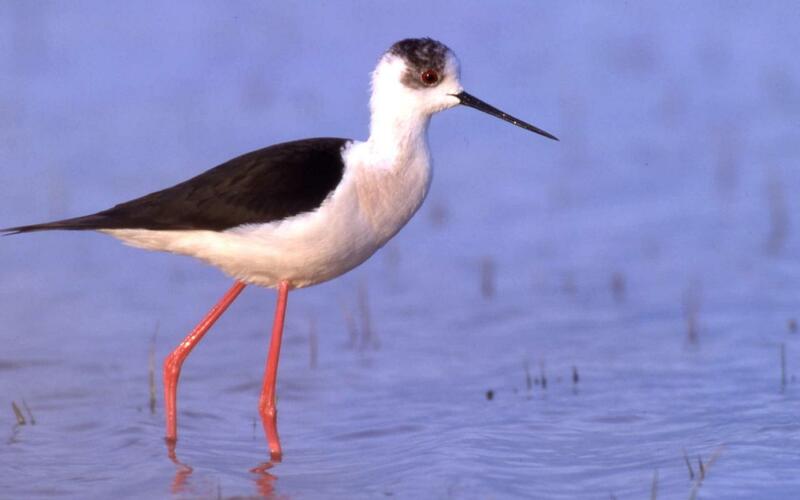 There is an excellent observatory in the protected marshes near Olonne sur-mer, where you can see Avocets and other quite rare wading birds. 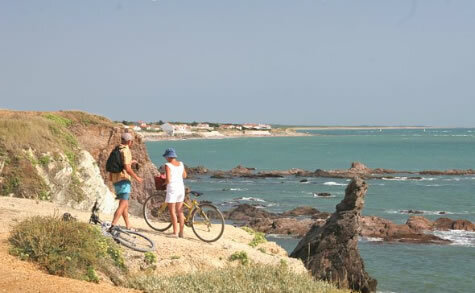 The Vendée is completely traversed by rivers and estuaries and it is an extremely popular fishing destination. It has the reputation for good fishing. 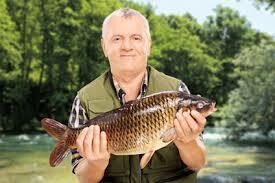 In fact, you can coarse fish in the river Jaunay, just behind Dolphin Gites, 5 minutes walk. 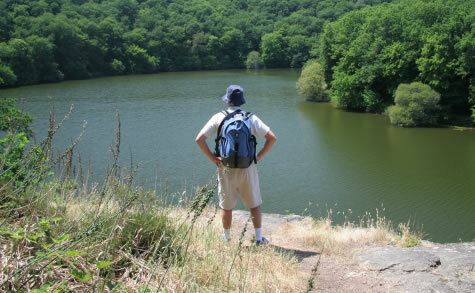 Fishing is also possible in the magnificent Jaunay lake for both day and night fishing. Sea fishing is also very popular along the coast. 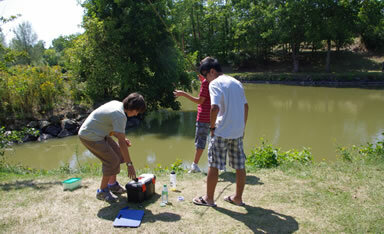 Fishing is also popular in the marshes. The owners would be happy to make enquiries for you in order to obtain a temporary fishing permit, which is not expensive. 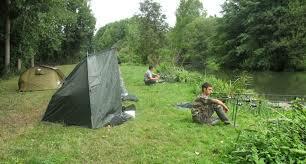 The Vendée has the greatest length of rivers for freshwater fishing in France. 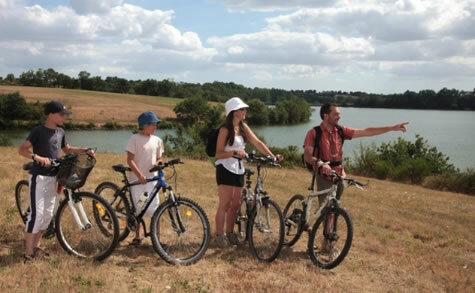 Just a short distance from Dolphin Gîtes, you can hire canoes or kayaks and enjoy a leisurely row along the river. 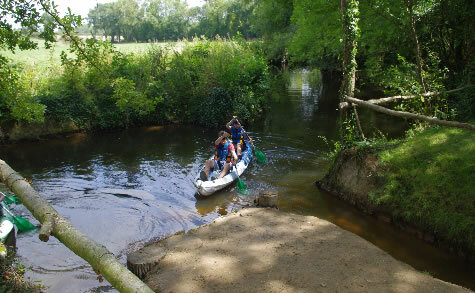 There are many different locations for hiring canoes. 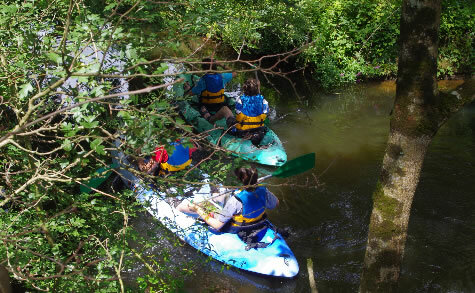 You can hire canoes on the river Jaunay in La Chaize Giraud (near the big roundabout), also in Apremont at the river next to the beautiful château, in the salt marshes at Brem-sur-mer and Olonne sur-mer and on the river Jaunay near Givrand. 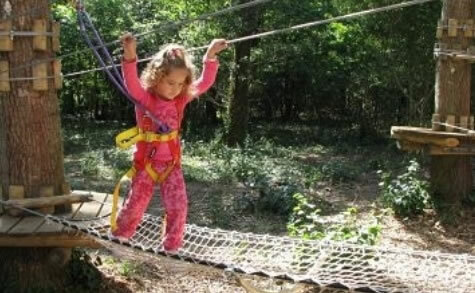 "special price reduction for guests staying at Dolphin Gîtes"
The Grand Défi is forest tree climbing activity with carabinas, etc. 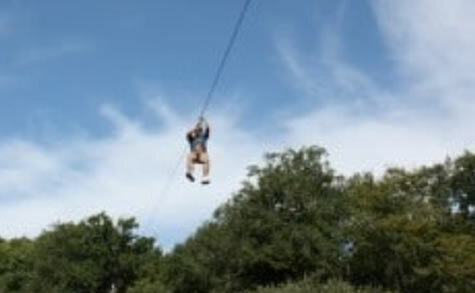 similar to Go Ape in the UK. 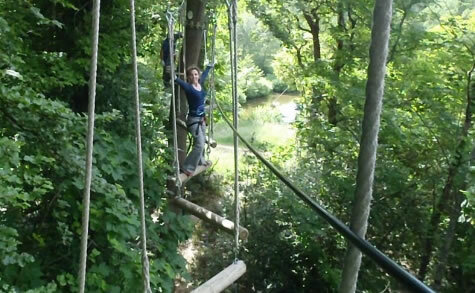 However, it is set up in a superb location in a natural forest, with a great team of instructors. 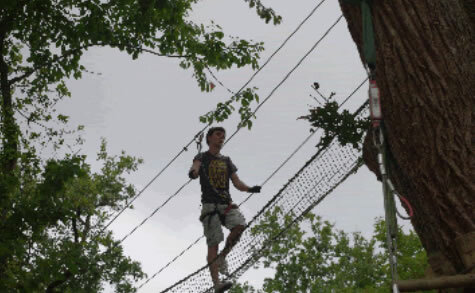 The instructors speak English and there are challenge levels for all ages and abilities. 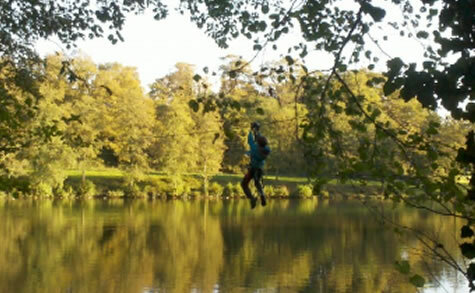 There is a fantastic and very long zip wire over the lake. 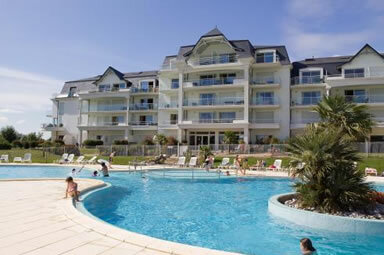 It is a great day out for all the family and if you can show that you are staying at Dolphin Gîtes, we have negotiated a price reduction. 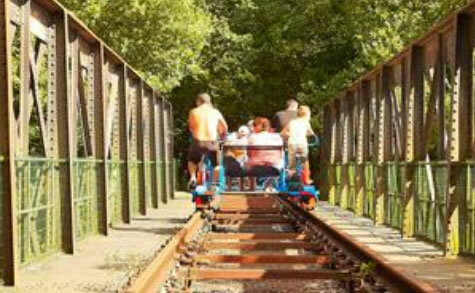 Good fun muscle powered train journey along a deserted railway track through unspoilt countryside. 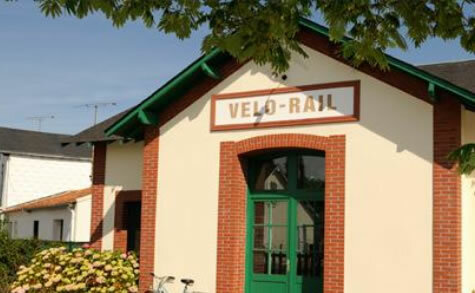 The Vélo Rail starts in Commequiers and continues a few kilometers through woods and scenic countryside. 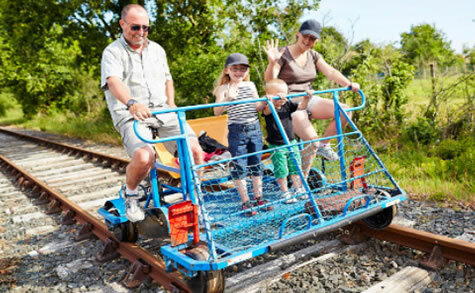 An enjoyable activity for all the family. 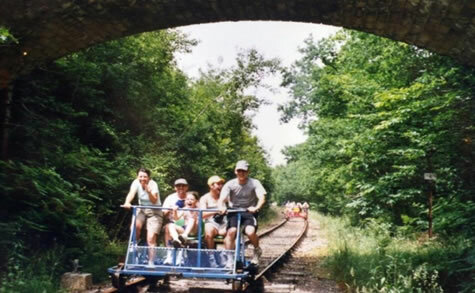 It is advisable to book in the peak season as it is so popular. 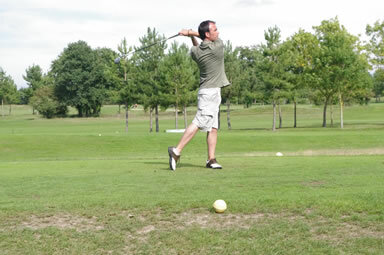 Only 8 miles from Dophin Gites, Golf des Fontenelles is an excellent 18 hole golf course and rarely crowded even during the high season. It is easy to book and relaxed with regard to dress code. 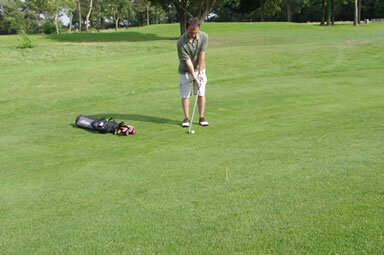 This superb 18 hole golf course is only 10 minutes' drive from Dolphin Gites.